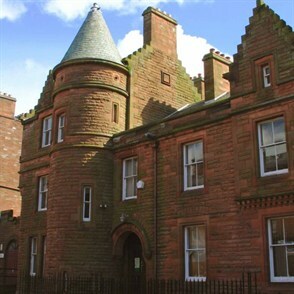 This family friendly Annan museum houses a permanent exhibition on the history of Annan and the surrounding area. NEW FOR 2018: A watercolour view of Annan in 1883 by John Dixon CE, a printed ceramic jug from the Bush Inn, Annan and the carefully conserved jacket that belonged to Lieutenant-General Colin Mackenzie (1806 - 1881) are just some of the items that will added to the local history gallery displays for 2018. The Annan museum also hosts a lively programme of special exhibitions and events throughout the season, together with visitor information and a shop stocking pocket money buys as well as local history books and greetings cards by local artists.